In 2007 we published the third edition. By this time the modern renaissance in numismatic publishing was well underway. 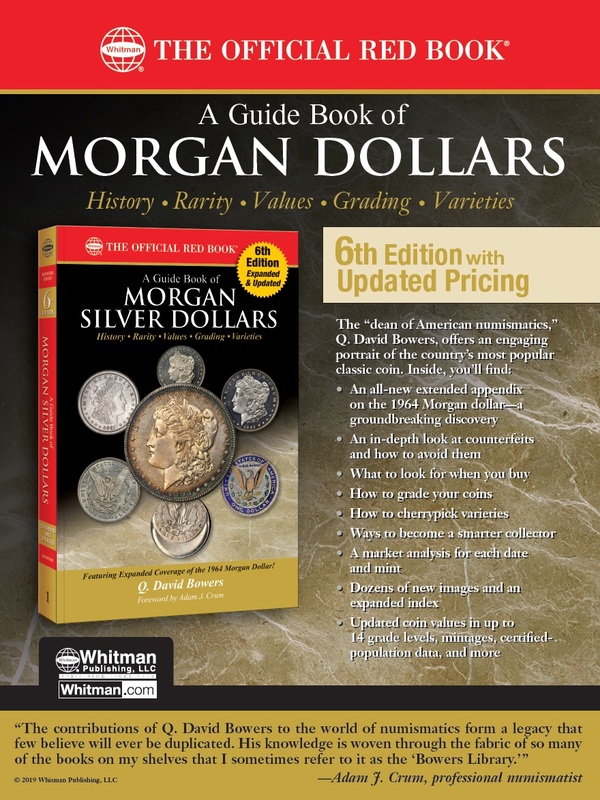 No longer were black-and-white photographs acceptable to the hobby community; the third edition of the Guide Book of Morgan Silver Dollars was published in full color. (Yes, nuances of color are noticeable in silver coins; they’re not as colorless as a non-collector might think!) Again the book’s coin-by-coin pricing was updated, reflecting the ever-changing market, and certified populations captured the latest third-party-grading data. New research was incorporated into the manuscript—Morgan dollars are a robust and very active field of study with new discoveries regularly being made. The book’s layout and typography were spruced up to make it as pleasantly readable as possible and easy for the reader to navigate. The Morgan dollar continues to fascinate experienced numismatists and curious laymen alike. It is linked historically to the U.S. Mint’s earliest silver dollars and connected to the modern dollar coins of later generations. If you learn about its history, design, engraving, production, distribution, and market, you get a richly detailed immersion in every aspect of American coinage. The Morgan silver dollar will always be the King of American Coins.